Solving California’s housing shortage is one of SPUR’s highest priorities, and building new housing is critical to that goal. But today, after many projects are approved, they no longer “pencil out” — meaning the costs have risen so much that the developer no longer can make a profit — and therefore never break ground. Rising construction costs, accumulating development fees and lengthy approval processes are a few of the reasons developers cite, but the answers aren’t yet clear. At a recent SPUR forum, Carolina Reid and Elizabeth Kneebone of the Terner Center for Housing Innovation at the University of California, Berkeley, discussed their ongoing research into the factors driving up housing costs in California. Today, experts don’t agree on the exact reasons for California’s construction cost increases, which often leads to policy fights based on ideology, not facts. The Terner Center is studying the issue with the intention of providing objective data that will inform policy recommendations that could reduce costs, increase housing production and boost the impact of public investments in affordable housing. The costs of land, materials and labor are rising rapidly. 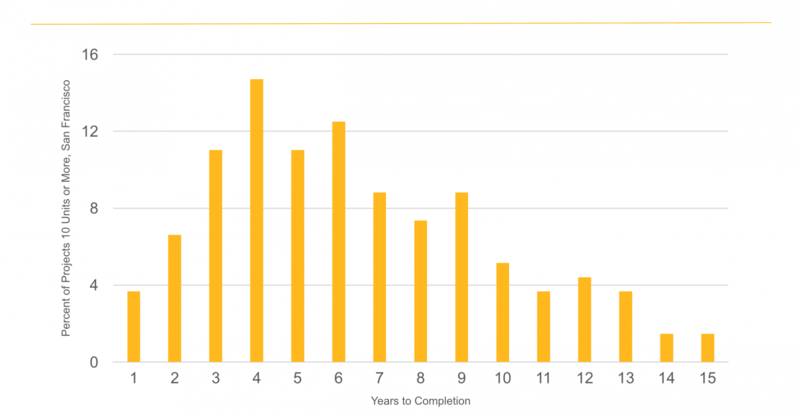 During a lengthy approval process (sometimes years), costs can rise to the point that projects are no longer tenable. Local fees, permitting, codes and regulations add 6 to 18 percent to construction costs. Uncoordinated city fees and requirements can add up to substantial sums that have unintended impacts on affordable housing. Further study is needed but initial policy recommendations suggest state and local reforms to streamline the development process and its fees. The Terner Center's construction cost research series includes three studies to date: a brief on the drivers of costs in San Francisco, an analysis of development fees in seven California cities and a still-underway analysis of construction costs across California. Construction costs average $330 per square foot in San Francisco, the second highest in the world. The first study found that local stakeholders believe quickly rising costs are contributing directly to the affordability crisis. Finding ways to lower costs is especially critical for affordable housing. “Every dollar saved translates into a subsidy for additional units,” the report concludes. The research highlights a dramatic cost-per-unit increase within a typical 100-unit affordable project in San Francisco, from $265,000 in 2000 to $425,000 in 2017. While not all factors are within the city’s control, local decisions do drive many rising costs. The panelists noted that the most significant factor driving up construction costs is the length of time it takes for a project to get through the city permitting and development processes. Today in California, when high costs pair with a lengthy approval process, projects often become too expensive to build. Source: Terner Center for Housing Innovation. The second study, focused on seven California cities, identified development fees as a significant factor driving up the cost of new housing. Fees ranged from 6 to 18 percent of the home price. The panelists noted that the fees are often set without oversight or coordination between city departments. In Fremont, where fees are the highest, they totaled nearly $160,000 on the $850,000 median value of a single-family home. Development fees range from 6 to 18 percent of a new home’s value. 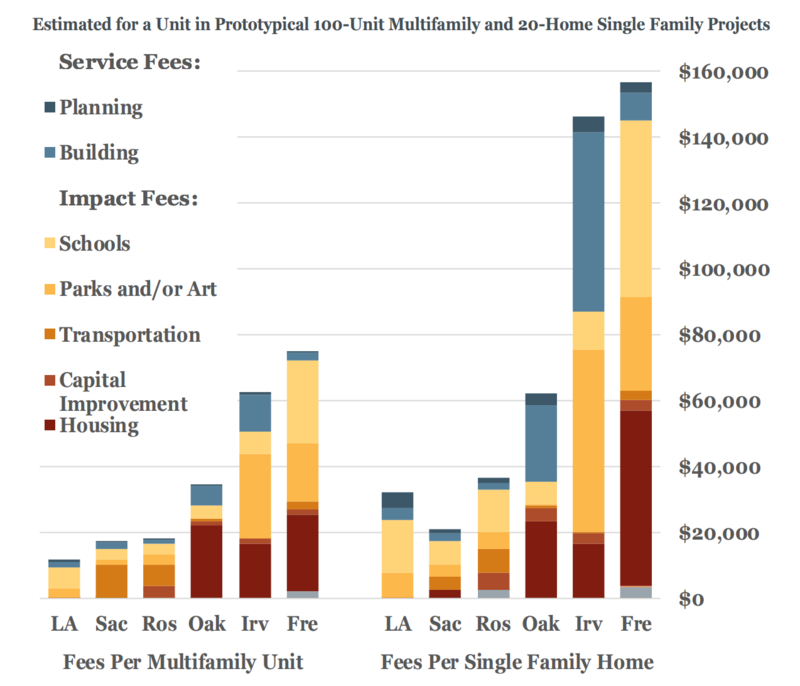 With policy reform at all levels of government in California, fees could become more accessible, reasonable and predictable, which would allow builders to make a greater contribution to fixing the housing shortage. The Terner Center’s construction costs study, which is still underway, is analyzing at least 120 single-family and multifamily projects to determine how three factors influence construction costs: land use and building requirements, labor and materials, and productivity. 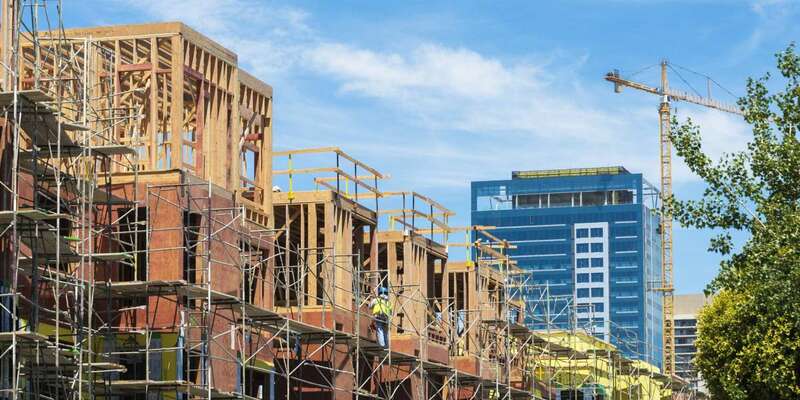 Construction costs are rising across the United States, but they are rising faster in many California cities, often where building costs are already among the highest in the world. Between January 2011 and January 2016, construction costs rose 11.8 percent nationwide, but 12.6 percent in San Francisco and 13.6 percent in Los Angeles. Construction costs in California are the highest in the country, and highest in San Francisco and Los Angeles. Source: Terner Center for Housing Innovation. 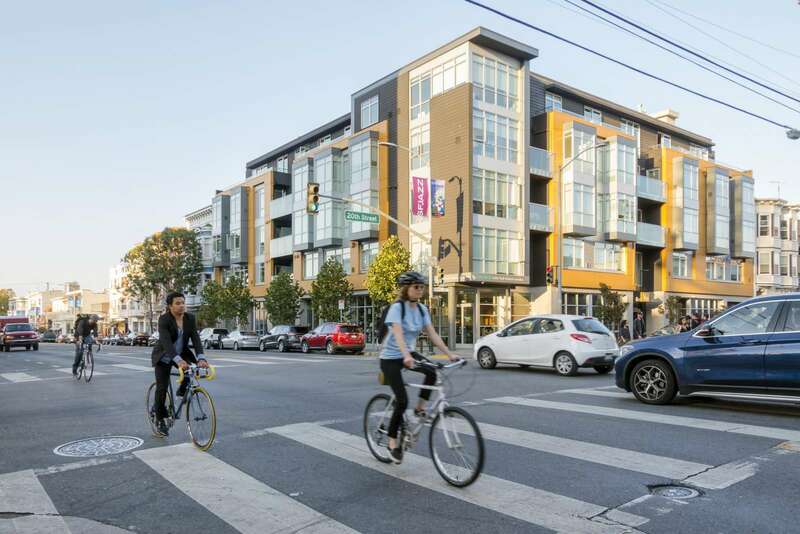 Of the projects being studied, most are multifamily with an affordable component. The Terner Center is still seeking market-rate projects to study. Though the research for these studies continues, the panelists offered several policy recommendations to reduce costs based on their work to date. The Terner Center suggests that cities streamline the permitting process by creating a new position tasked exclusively with reviewing and simplifying code requirements. Cities could also expand by-right designations, which allow projects that conform to existing codes to go forward without lengthy review periods. Flexibility in design requirements would also help reduce housing costs, especially if design review was removed from request for proposal and request for qualifications requirements and addressed later in the development process. Cities could further reduce the cost of regulation by adopting best practices for setting and charging fees. By coordinating across city agencies, cities could conduct cost-benefit analyses of new and existing provisions and define when fees can be levied or changed during development. We look forward to the Terner Center’s additional research on housing costs.